Finland Eye Center is the first venture in Oman and the Middle East by a Finnish group of medical field experts who have already established several eye centers within Europe. The main branch in Qurum, Muscat was inaugurated in 2007 with additional branches in Sohar, Salalah and Al Khoudh following suit in 2010, 2011 and 2015 respectively. Due to increased demand, the FEC Muscat branch relocated to the current, larger premises in March 2012. 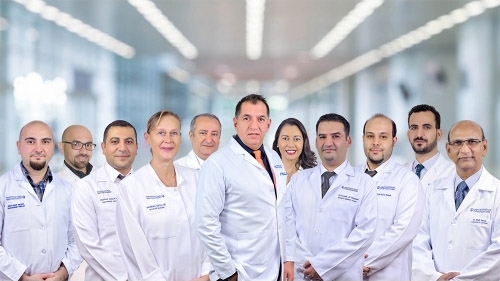 FEC provides comprehensive ophthalmic care from the cornea to the retina from eye examinations to a full range of surgeries in our own state-of-the-art Operating Theater, making FEC the largest private eye care center in the Sultanate with nearly 40,000 patients to-date at the Muscat branch alone. At FEC, patients can expect the highest care and expertise whether they visit for glasses or contacts, for a full check-up or for one of the sophisticated, modern procedures such as 9D Z LASIK, multifocal IOL implantation or Corneal Cross-Linking. Additionally, the range of ophthalmic specialties covered by the experienced doctors and surgeons at FEC ensures that every eye condition can be examined, diagnosed and managed to the highest standard. Finland Eye Centre strives to provide world class quality eye care, always keeping patient safety and satisfaction as a priority. We aspire to reach and maintain the international standards and continuously assess our performance to improve the service towards our esteemed patients. We are proud to have been chosen the best private eye center in the Sultanate by the Ministry of Health in 2015! Finland Eye Center provides all-round ophthalmic care under one roof; from glass and contact lens prescriptions to comprehensive eye examinations as well as a full range of surgical and non-surgical treatment and management options with post-operative care and follow-up, including an optical shop within the center. The center is equipped with several optometrist and doctor's examination rooms, equipment for thorough eye examinations (including OCT, Topography, Fundus camera, IOL Master, B-Scan, Air-Puff Tonometer, Visual Field, Biometry, Fundus Fluorescein Angiography), the laser room (for Femto LDV Z6 9D Z LASIK, Corneal Cross-Linking and intracorneal rings) as well as the state-of-the-art Operation Theater with two operating rooms and patient rooms from minor procedures to cataract surgeries to corneal grafting. 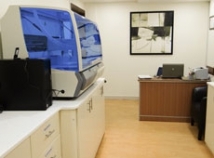 In addition, FEC offers a fully functioning laboratory (see below for details). FEC is not a conventional clinic - we are an eye hospital. FEC is designed to be comfortable, beautiful and welcoming. Separate male and female waiting areas are available with additional seating around the center. There is coffee on offer, artwork to admire and an inviting décor. Care has been taken to make the atmosphere at FEC welcoming and inviting, reducing the stress of visiting a doctor. Visit us to see and feel the difference. After years of experience performing eye surgeries in various operation theaters we have launched our world-class state-of-the-art Operation Theatre on a day care basis, where the patient can comfortably go home the same day after surgery. We always look for the quality in providing services to our different linguistic and geographical groups. Our OT is designed to handle all kinds of cataract, cornea, conjunctiva, glaucoma, squint (also children) and retinal surgeries with the latest and most advanced equipment and highly experienced surgeons performing an array of ophthalmic surgeries. Our OT is equipped with advanced anesthesia machine (OHMEDA) and cardiac monitors with central gas pipelines for oxygen and other gases. It is staffed by an experienced in-house anesthesiologist to provide appropriate anaesthesia. Infection and hygiene control is paramount and we apply world-class standards of theatre sterility by monitoring the sterility according to recommended parameters. The laminar flow air conditioning system keeps the theatre ventilated with purified, bacteria-free and particulate matter-free air by HEPA (High Efficiency Particulate Air) filters with multiple air changes. To enhance sterility we disinfect the environment with high intensity UV-ray space sterilizer. Our operating table is specially manufactured to meet the needs of eye surgeries. 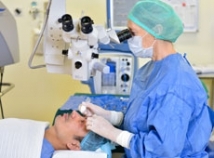 Our theatre is staffed by excellent nurses with vast experience in assisting all types of eye operations and familiar with the latest machines and surgical instruments. We have taken all measures to extend our care to post-operative recovery room area with vital signs monitors, crash trolley and central oxygen supply. In addition, we are equipped with an intensive care unit (ICU). 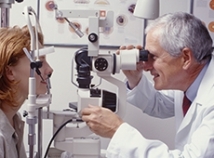 FEC strives to provide world class quality eye care, always keeping patient safety and satisfaction as a priority.